Nearly all wild lions live in sub-Saharan Africa, but one small population of Asian lions exists in India's Gir Forest. 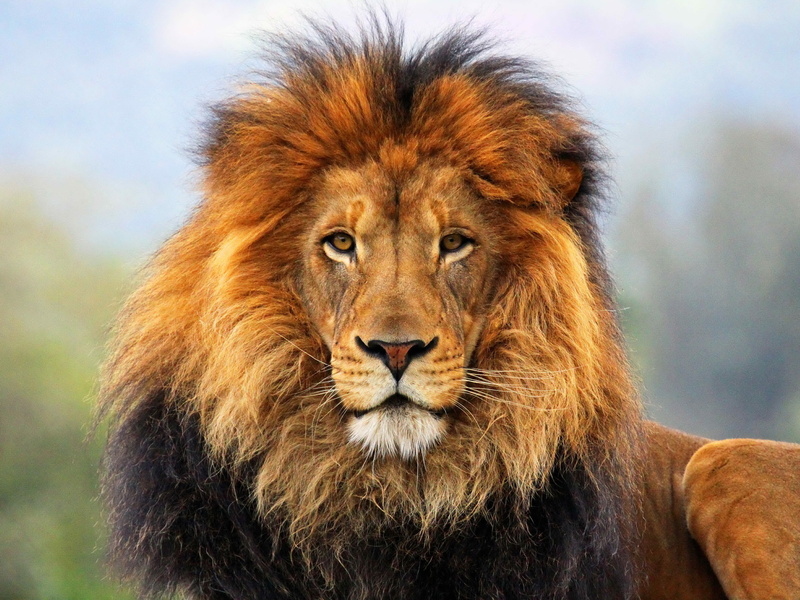 Asian lions and African lions are subspecies of the same species.Asian lions once prowled from the Middle East to India. Now, only 200 to 260 of these magnificent animals survive in the wild. The Gir Forest's dry teak woods were once a royal hunting ground. Today they are a reserve where the endangered Asian lions are heavily protected. An additional 200 Asian lions live in zoos. Lions are the only cats that live in groups, called prides. Prides are family units that may include up to three males, a dozen or so females, and their young. All of a pride's lionesses are related and female cubs typically stay with the group as they age. Young males eventually leave and may establish their own prides by taking over a group headed by another male.Only male lions boast manes, the impressive fringe of long hair that encircles their heads. Males defend the pride's territory. They mark the area with urine, roar menacingly to warn intruders, and chase off animals that encroach on their turf. Female lions are the pride's primary hunters. They often work together to prey upon large mammals.After the hunt, the group effort often degenerates to squabbling over the sharing of the kill, with cubs at the bottom of the pecking order. Young lions do not help the pride hunt until they are about a year old. Lions will hunt alone if the opportunity presents itself, and they also steal kills from hyenas or wild dogs.